Please have a look at the Synology / FileBot Node troubleshooting page. Posting logs, system information, architecture, etc would be helpful for me in helping you. Have you tried using FileBot Node directly in the local area network? 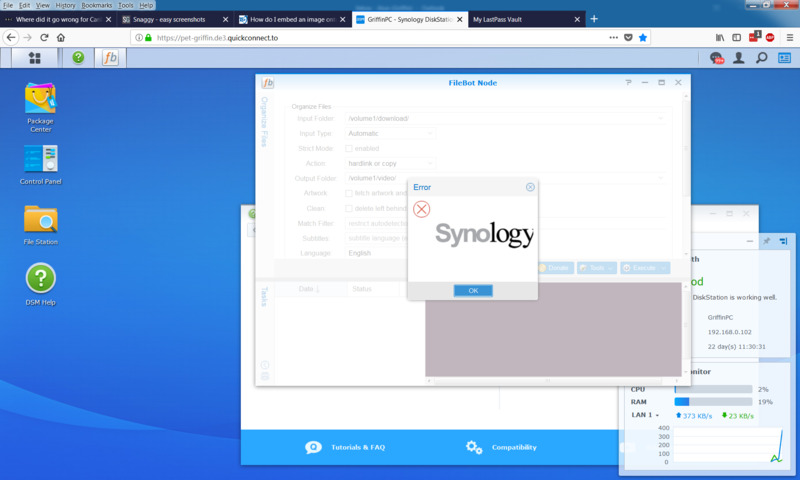 There may be issues if you're using it via the Synology QuickConnect proxy service. FileBot is simply crashing when opened! I've the crash logs where do I send them @rednoah? You can post logs on Pastebin and then post a link here.